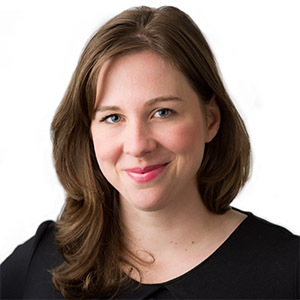 Ali Hartman (New York) joined KKR in 2011 to support the firm’s growing work on Environmental, Social, and Governance (ESG) issues and stakeholder engagement across its investment portfolio. Over the course of five years, she helped to build the ESG platform to encompass a range of asset classes and focus areas. In 2016, Ms. Hartman was named the Head of Global Citizenship for KKR. In this role, she oversees the firm’s approach to strategic philanthropy, community impact and employee engagement. Previously, Ms. Hartman worked at Coca-Cola in the public affairs department, where she oversaw a range of social and environmental issues in North America and Europe. Prior to this role, she studied worker rights at the International Labor Organization (ILO) in Paris and completed fieldwork in child labor issues at the Working Boys Center in Quito, Ecuador. Ms. Hartman holds a B.A. from Columbia College at Columbia University and completed her M.A. in International Affairs at L’Institut d'Études Politiques de Paris (Sciences Po). Ms. Hartman is involved in a number of philanthropic activities. Most notably, she serves on the Board of Directors for Hour Children Inc., the Board of Directors for Conservation X Labs, and the Advisory Board for Duke University’s CASE i3: Initiative on Impact Investing. Ms. Hartman is also a long-time volunteer with Camp Fatima of New Jersey and a chapter leader for Moms Demand Action.